Es gab bereits einige Hinweise, dass Samsung* für dass Note 10 nicht nur eine Version plant, sondern die Modelle mit mindestens zwei unterschiedlichen Varianten auf den Markt bringen wird. Das scheint sich nun weiter zu bestätigen, denn es sind zwei neue Seriennummern aufgetaucht, die durchaus für die neue Modelle stehen können: neben den bisher bekannten SM-N970 und SM-N975 (die wohl für das normalen Galaxy Note 10 stegen) existieren auch die Seriennummern SM-N971 und SM-N976. Diese könnten unter anderem für eine 5G Variante des Galaxy Note 10 stehen, die technisch auch noch etwas aufgerüstet wurde. Ob das Unternehmen aber den Schritt gehen wird, wie beim Galaxy S10* sowohl ein Note 10 und auch ein Note 10+ anzubieten ist noch eher fraglich. The previous report from Korea, which first mentioned the existence of four Note 10 handsets, claimed the 4G models would have 6.28-inch and 6.75-inch displays, as well as triple and quad camera setups, respectively. 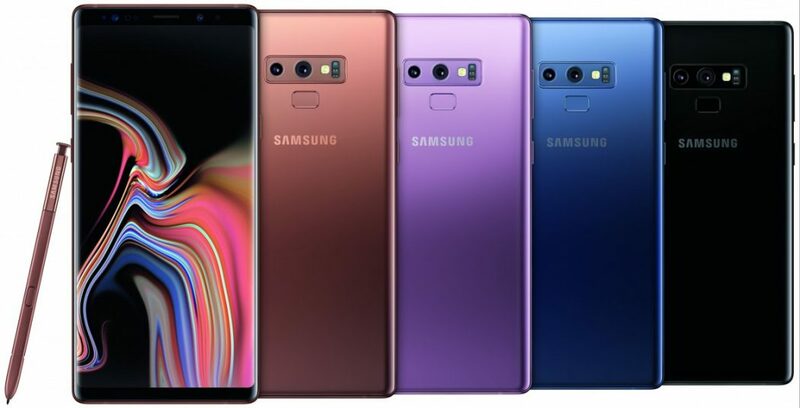 SamMobile also listed two additional Galaxy Note 10 models, including the SM-N971 and SM-N976, that are probably the 5G variants of the two Galaxy Note 10 models. Samsung* is supposedly looking to increase Galaxy Note sales this year in the same way it did with the Galaxy S10*. The Korean giant wants to offer differently priced versions of the same basic Note 10 device that could convert more sales than a single model. The Galaxy S10* has four distinct models, from the cheapest Galaxy S10e to the most expensive Galaxy S10 5G. All of them have the same hardware, but the more money you’re willing to pay, the better features you get, including larger displays, bigger batteries, and more camera lenses. Eventuell wird es auch eine günstigere Version des Note geben (vergleichbare mit dem Galaxy S10e) aber neben der Seriennummer sind leider noch keine weiteren Details bekannt um das zu präzisieren. The new device that Samsung* has in the pipeline bears model number SM-N975F. We hear that it’s going to have four cameras at the back. This would make it Samsung*’s second flagship of the year with a quad camera system. The first is obviously the Galaxy S10* 5G.